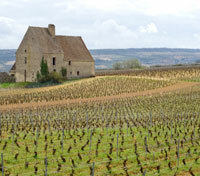 Sample Burgundy’s wines on private vineyard tours. 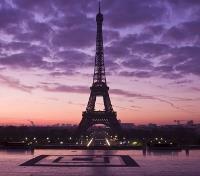 Gaze out across Paris from the observation deck of the Eiffel Tower. 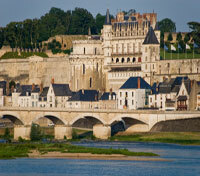 Ride through the picturesque town of Amboise on a private bicycle tour. Watch Montmartre, Paris’ artisan quarter, come alive on a private evening walking tour. Enjoy private rides and a handpicked selection of luxury accommodations. Paris comes by its nickname “The City of Love” honestly, but there’s plenty more to fall in love with beyond the city limits. Embark on a charm-filled adventure that blends the joys of Paris, the scenic splendor of the Loire Valley and the bucolic wine-rich countryside of Burgundy. Raise a champagne toast upon arrival, then awake for a half-day private tour through the streets of Paris — with a stop at the Eiffel Tower, of course — before discovering an often unseen side of Paris with a private guide: the historic covered passages, offering a unique photo-friendly ambiance. Later, discover the medieval charms of the Loire Valley — home to fairytale castles, stately manors and rolling hills — by bike and sailboat. Then, discover the viticultural pleasures of the renowned Burgundy wine region through guided tours of the region’s medieval villages and top vineyards, exclusive Grand Cru tastings and a walking tour of Beaune, the spiritual homeland of French wine. France is a special place. Share it with someone special. Meet your private guide at your hotel and depart on foot for a half-day walking tour to discover the old covered passages of Paris. Many of these 'hidden' arcades date back to the early 1800's, and are registered historic monuments. 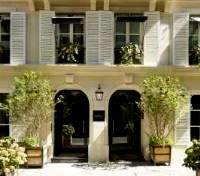 Easily missed for their unassuming locations and entrances away from the likes of prominent streets like the Champs-Elysees, the passages have kept their picturesque charm of old Paris with their glass roofs and vintage wood molding store fronts. 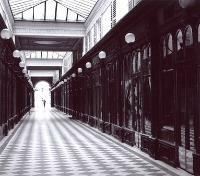 Your guide will aim to bring you through 5 or 6 of the covered passages, where you'll find specialty boutiques, antique shops, old tea rooms and hidden staircases that are a paradise for unusual photos away from the main Parisian sites. This is a quaint and lovely side of Paris not many visitors ever see. Meet up with a specialized guide in the city center and get outfitted with a bicycle and helmet for your private half-day cycling tour of serene Amboise. Today you'll take in the sights of the town where Leonardo da Vinci spent his final years, and in doing so, you'll surely spot the Clos Lucé manor house where Da Vinci lived out his final days. Make your way through charming narrow streets with historic timbered housing, contrasted by an image of splendor that washes over the town. Such splendor comes from none other than King Charles VII's grand 15th century Chateau d'Amboise, imposing in its position as it looms over the town below, reflecting in the Loire. Easily recognized in nearly every iconic image of Amboise, you'll catch several views of the castle from various distances around town, offering up chances to create your own perfect photograph. Discover the pedestrian shopping areas as well as the esplanades located along the Loire, the best place to take in fantastic views of the river. Let the freedom of your bicycles allow for endless possibilities of your day. This superb 13th century castle, remodeled during the Renaissance and framed by its two protective towers, is home to Chateau de Pray. Perfectly located on the south bank of the Loire, the castle has watched over the valley for centuries and holds the secrets of some of the finest chapters in French history. 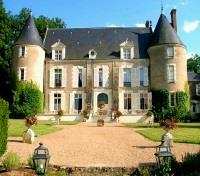 A stone’s throw from Amboise, the castle is nestled in a wooded 5-acre park home to traditional French gardens, patios, a market garden and heated pool. 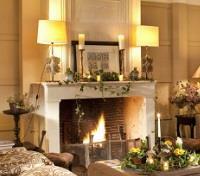 Inside, the cozy lounges, refined rooms, and gastronomic restaurant invite you to enjoy a charming stay next to the Loire. 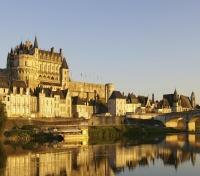 This breathtaking hotel is a haven of peace at the heart of the Loire. Meet your private driver for a transfer to a boat launch along the Loire where you'll meet your private Captain to embark on a cruise through the Loire River Valley, discovering the last truly wild river in France aboard a basic, yet charming, traditional wooden boat. This is the perfect way to take a wistful break in the area and to let yourself be carried along at the gentle pace of the river’s ebb and flow. 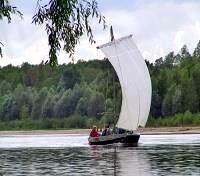 Watch the beautiful countryside and enjoy the ride with a glass of local wine as you leisurely sail back toward Amboise. Meet your private driver and vehicle for a transfer to Beaune. Approximate travel time is 3.5 hours. 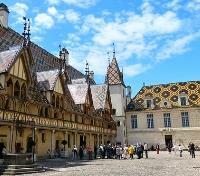 You'll be picked up from your hotel to embark on a half-day tour of the Cote de Beaune, visiting wineries in the area in the company of your private English speaking driver-guide specialized in wines. 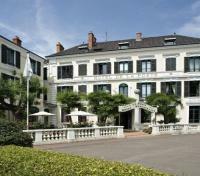 Your day will include tastings of up to 14 different wines, including 3 Grand Cru wines, considered the best of the best. Travel along the Grands Crus Wine Road, around Pommard and the Golden Triangle of Burgundy’s Great White Wines: Meursault, Puligny-Montrachet and Chassagne-Montrachet. Discover one of the area’s local wineries for a private tasting of some of the greatest appellations. Stop off on the Corton hillside, a unique location in Burgundy for red and white Grands Crus. Afterward, continue to another tasting at an estate with several generations of winemakers: trying elegant Pinot Noirs and unoaked white wines. 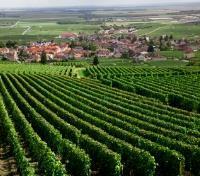 Conclude your tour on arrival back to Beaune. With a private driver-guide specializing in wines, you'll depart from your hotel on a half-day excursion focusing on the vineyards, wineries and wines of the Cote de Nuits, a Pinot Noir paradise. Drive through the scenic vineyard-lined countryside, venturing along Burgundy's Grand Crus Wine Road featuring Vosne-Romanee, Gevrey-Chambertin, Chambolle-Musgny, as well as Romanee Conti where you can make a brief stop. Over the course of your afternoon, you'll taste a number different wines, including 3 first class Grand Crus. Your first prestigious wine tasting of the day will have you indulging in a selection of Great Burgundy wines while learning about local production. You'll also stop off in the village of Gevrey-Chambertin, the king of Burgundy wines, and visit the cellars of a wine estate steeped in family history, with oak barrels and old vintages. 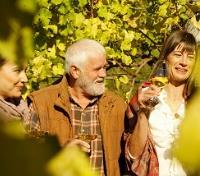 Enjoy a private tasting of Pinot Noir wines produced in harmony with the terroir, before returning to Beaune. Depart by train from Beaune to Paris. Approximate travel time is 3.5 hours. Meet your private guide at your hotel and depart on foot for a half-day walking tour of the chic hill-top neighborhood, Montmartre. 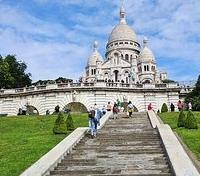 Topped by the stunning 19th century white Sacre-Coeur Basilica, Montmartre is the highest hill in Paris, at 425 feet. An artists haven, formerly adopted by the likes of Monet, Renoir, Degas, Picasso and Van Gogh, the tradition remains to this day, as you'll witness the numerous artists and portrait painters of the Place du Tertre. Stroll the narrow streets of this famous neighborhood, admiring the Sacre Coeur Basilica, discovering lovely gardens, and taking in incredible views over the sloping city below.